Making my hair go through so many colours and bleach really has weighed it’s toll and this is why I am trying to rescue it. 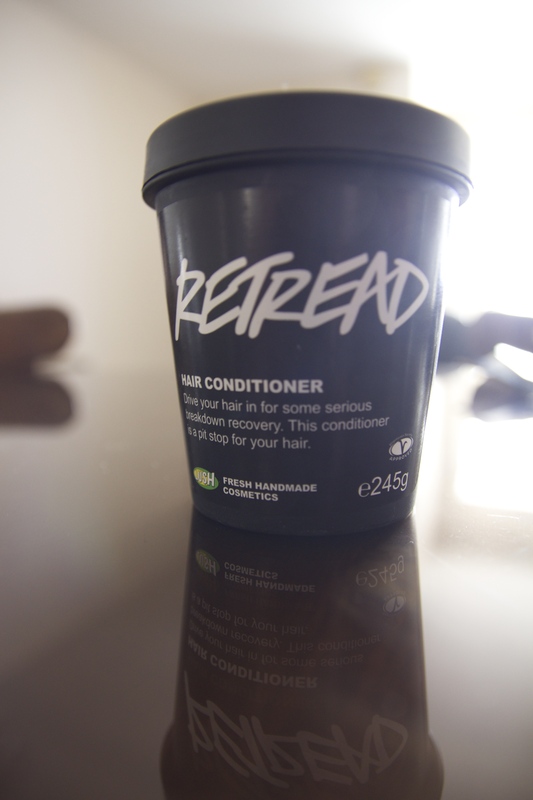 Searching for so many nourishing conditioners etc etc and not finding anything has made me doubt that I will ever rescue my hair..until I went into Lush in Cork and was recommended the Retread conditioner. She also recommended the shampoo but because my funds were too low I didn’t get it as well. However I will get it as well as the conditioner this Wednesday when I travel up to Dublin for the Warehouse AW14 Press Preview (look out for that blog post soon!). You might have guessed my thoughts on it from that sentence but I will tell you anyway. 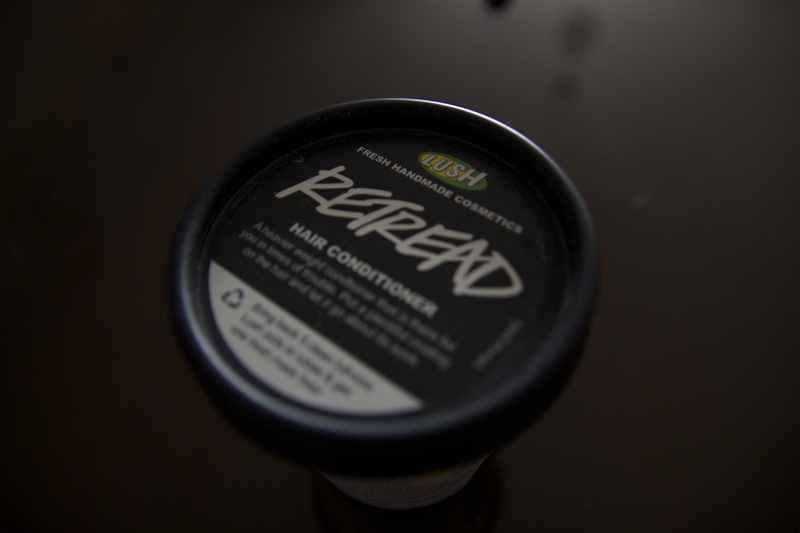 The conditioner smells delicious and it’s got mostly natural ingredients. Here is what the Lush website says about it. 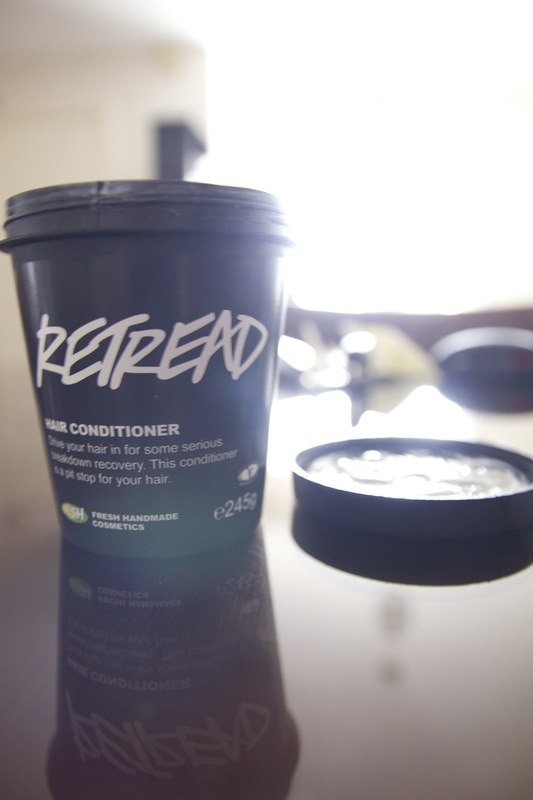 Retread is our super-smoothing conditioning cream that gives sad hair its shine and bounce back. Use it when your hair is feeling absolutely wrecked. This rich conditioner makes your hair look better, but more importantly, it moisturizes and feeds your hair the nutrients it needs. We use a blend of softening and hydrating ingredients, including seaweed, lanolin, fresh canteloupe and protein-rich yoghurt and soya milk to strengthen locks. 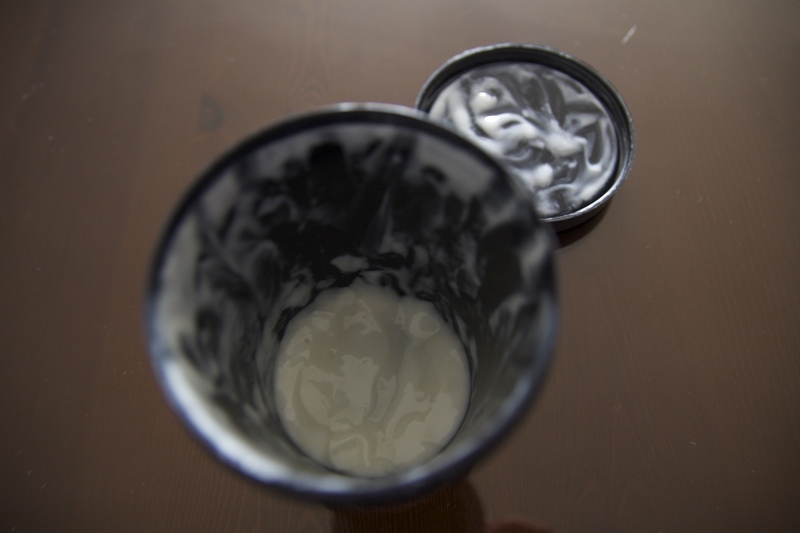 Then we blend in olive, jojoba and avocado oils to give a truly deep condition. Together all these ingredients add up to a nutritious heavy weight conditioner. Put a plentiful helping on your hair and let it go to work. I have to say that it basically does what it says and what it is..I have been using it since the day after I bought it and all I can say is, is that it has made my hair so much better. Before my hair was so brittle and dry and you could definitely see it in the ends. My hair felt like straw. I use it every time I get into the shower and what I do is; I first wash my hair and then get a big handful in my hand and apply it through the middle and ends of my hair because it needs it basically. I then leave it there and continue with my shower..at the very end I then rinse it off. The good thing about the conditioner is that it didn’t make my hair greasy and it didn’t weigh it down like others I have tried. After my hair has air dried it always feels so soft and healthy. Even my boyfriend has noticed the difference. I am at the very end of the pot and have been using it for 2 months now so you can judge how long it will last you. I am going to repurchase it as I have mentioned above (It cost me €15 and worth every cent) and I will be getting the shampoo as well because the shampoo I bought myself to try and nourish my hair is not worth a cent, in my opinion. It dries out my hair even more and hasn’t nourished it at all…it has done nothing basically. I would definitely recommend this to anyone who has dry brittle hair and has dyed it a million times. Let me know if you have used it also and what your thoughts are on it.